Use the Spaceman 6455H two flavor frozen beverage machine to serve tempting frozen beverages to happy customers! This unit can serve up to (100) servings per hour of 8 ounce frozen cocktails, slushies, smoothies, frosé, and more. With its 2 powerful 1/3 hp motors, (2) 4 qt. freezing cylinders, and (2) 8.5 qt. mix hoppers, this machine will have large quantities of your signature flavors mixed and ready to serve in no time! Only Spaceman USA frozen Beverage machines have 3x patented freezing technology for the fastest freeze down time and lowest energy costs per serving. For minimum staff stress and effort, a convenient indicator light and alarm show when to add mix. A fully adjustable viscosity control allows you to set the desired consistency of your product. A hopper agitator ensures consistent cooling, increased temperature control, and great quality every time. Plus, a standby mode and thermal overload protection ensure safe use of the unit without risk of damage. Make your establishment a go-to summer drink spot with the Spaceman 6455H frozen beverage machine! Combine efficiency, user-friendly controls, great quality, and happy customers, and you have the Spaceman 6455H two flavor frozen beverage machine! Capable of making 100 servings of 8 oz. cocktails hourly, this machine uses a powerful motor, fast-freezing technology, and intuitive controls to make serving tempting frozen beverages easy. 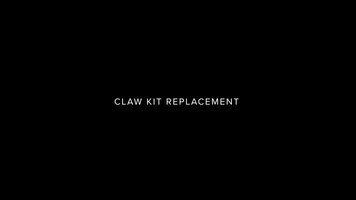 Learn how to operate your Lidsaver 2 claw kit replacement by watching this video! 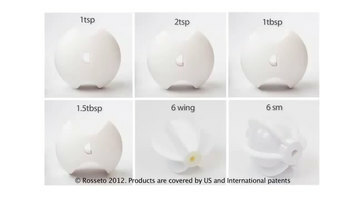 The portion control cereal dispensers from Rosseto feature patented portion control wheels to save your business money. 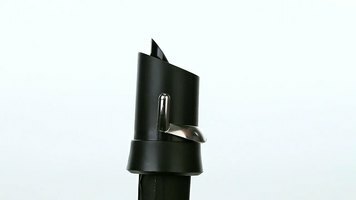 Watch this video for more information! Consult this visual walkthrough for a quick reference on how to use your Vacu Vin Champagne Saver!